This Golden Globes Red Carpet, the ceremony, the winners, the epic moments of the 2017 Golden Globes edition will mark our memory. Before the Inauguration, before troubled times which only allow hope to see a bright future ahead, the 2017 Golden Globes Red Carpet was as hectic as one would expect. And although a few cuts burst out and a handful of legs stand out, pinpointing a general trend is risqué. 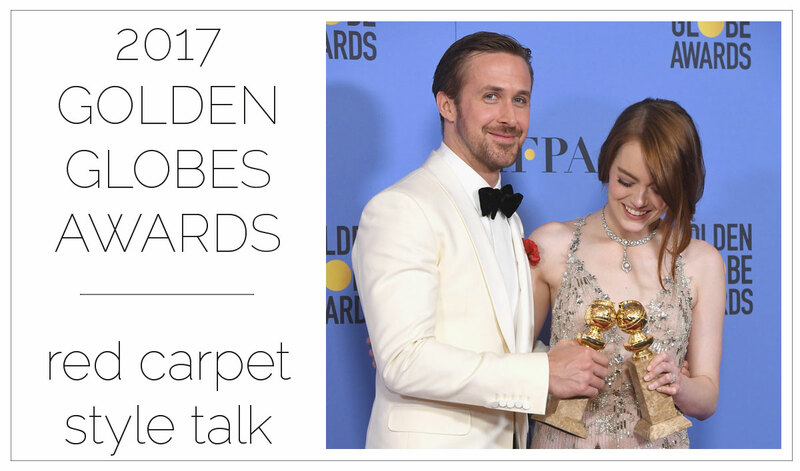 Yellow, metallic, coral, black, white, suits – there was a bit of everything and anything on the 2017 Golden Globes Red C arpet! As I was reading the reports from here and there, a serious lack of style coherence was obvious. As if whoever wrote the columns concluding that this and that ‘trend’ was dominant was desperately trying to raise the audience numbers. Fashion aside – I never pictured myself as a person involved in politics yet lately it seems that everything has to do with politics. Music, movies, Red Carpets, acceptance speeches. Do you feel rightfully represented nowadays? 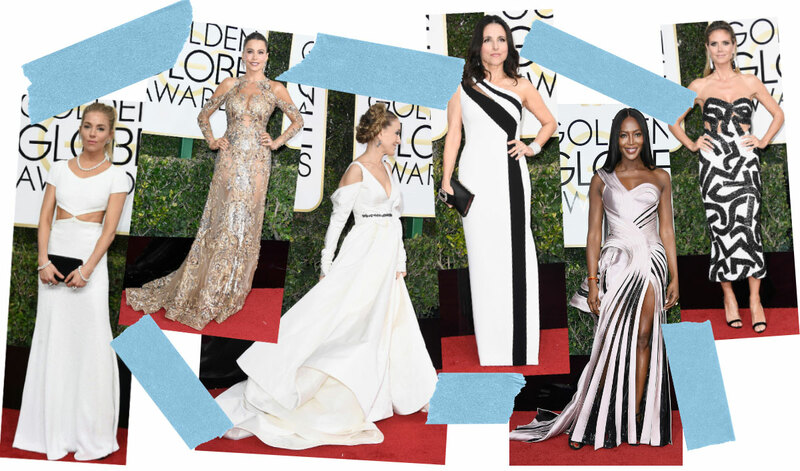 From the White House to the white dresses with dramatic décolletés – do you feel they represent your style? 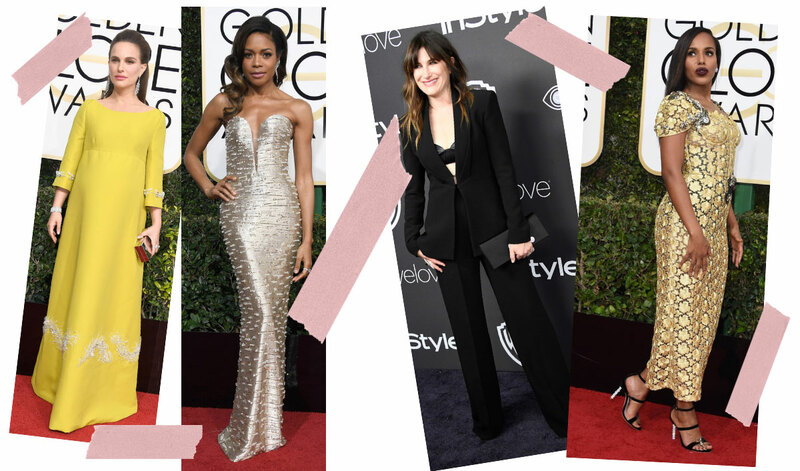 Deja vu: Leg slits and dramatic cleavage on the Golden Globes Red Carpet! Because if you choose to see things differently, you’ll notice a lot of bare shoulders and emphasized waist lines – shouldn’t we call on those trends too? 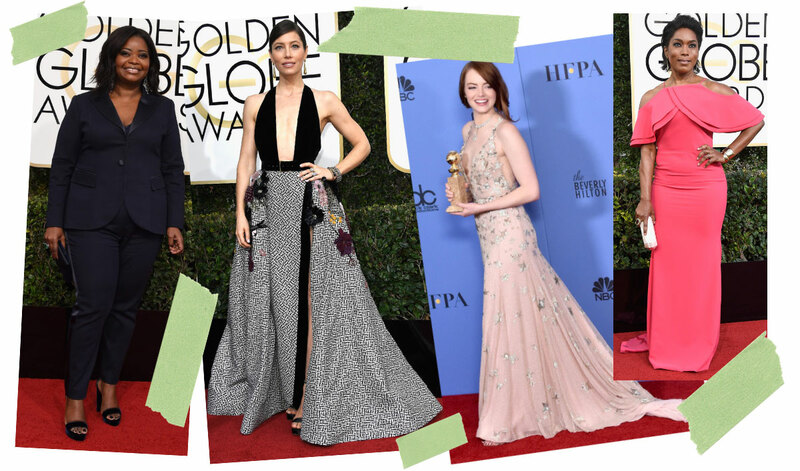 How about the floor sweeping gowns and the sartorial geometry – aren’t those present enough to make it to the Red Carpet trend stature? Where are the risk takers? The rule breakers? The statement makers? 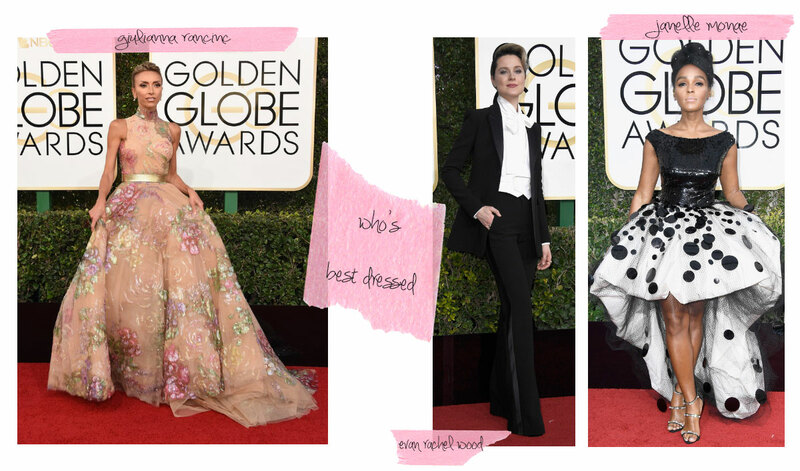 Why go for Giulianna Rancic as best dressed when you have polka dotted Janelle Monae and tuxedo-ed Evan Rachel Wood? Why swoon over Lily Collins when there’s gold dipped Thandie Newton? How low the jaw dropped for Mandy Moore when Felicity Huffman was daring and stylish in a white/metallic jumpsuit? 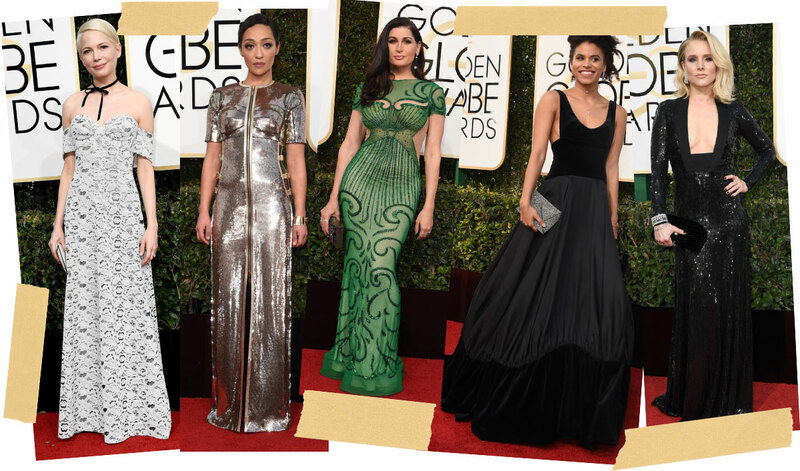 Always fun to: Compare dresses on the Golden Globes Red Carpet! Instead of complaining about Natalie Portman’s Jackie like style in her yellow dress (looking perfectly lady-ish and gorgeous, btw!) why not compliment the fabulous appearance of gracious Naomie Harris? Or the daringly suited Kathryn Hahn and the superbly delicate, sunny Kerry Washington? Desperately trying to single out a trend could actually blindside us from seeing the bigger, more beautifully diverse picture! In the end, all these gorgeous ladies didn’t dress up just to showcase a single trend but because the occasion presented itself but because professional stylists worked on their look for weeks. 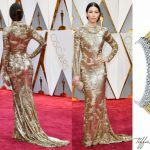 Together with the performers, way ahead this special night, dresses were tried on and styled, just to make the best possible impression on the Golden Globes Red Carpet. The same goes for all the other events. All gorgeous: Viola Davis is Red Carpet perfect every time! While being swept away by the Hollywood mirage, we sometimes forget that it takes a tremendous amount of work to be in the spotlight. 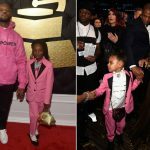 It sometimes looks effortless and put together at the last minute yet there’s hardly anyone who dresses herself/himself anymore. They all seek professional advice and the dressing up occurs after hours of brainstorming and styling. We can watch and admire, paying respect to the work of professionals – I’m certain they’re all looking and thriving for that acknowledgement therefore I cannot take my work here lightly anymore. I used to ignore that my words could make an impact and focus on shallow perspectives. Not the case anymore. I’m taking this story serious and considering more than just the first layer of a situation, be it a Red Carpet style talk. 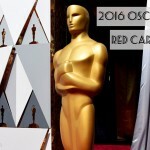 I equally respect the work of actors and of the teams working with them to either prepare a part or a public appearance. Lily Collins & Viola Davis were my favourites. Lily’ s dress was absolutely beautiful & I just love Viola’s style – she always looks great – imho. But I was wondering where everybody has gone on this blog – no one ever makes a comment anymore? Where did everybody go? Is it because no one reads blogs anymore? Or is it because fashion is dead & boring? Viola is stunning! No wonder she’s so close with Meryl Streep – they are both amazing in every aspect of their lives! I kept wondering the same thing for almost two years now. No one ever makes a comment because … well at some point, apparently, things got too personal and that killed the fashion talk. Fashion is anything but dead and boring and (the old) blogs have either closed or have been eaten by the giant media companies or the (old) bloggers have grown up, found themselves ‘respectable’ day jobs or other interests. 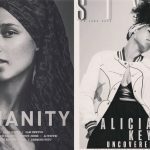 Personally, I’ve had some health issues I tried to figure out and then to re-conciliate with my once fashionable existence (I documented some aspects on my autoimmune disorders and the focus on fashion and style right here, on Stylefrizz, trying to explain my absence and also trying to help others who might go through the same troubles as I). Nowadays I’m trying to keep healthy, honest and only contribute with healthy and honest opinions about style and fashion whenever I can, hoping someone (other than my most supportive and adored Husband) would read my thoughts..
You just made my day. My month. And quite possibly my year! Thank you, Cate! Politeness & manners never go out of style – that’s my mantra for 2017. So along with healthy & honest opinions only I’m wadding back into the discussion pool. Here I come …. I’m a self confessed TV addict – so l’ve been a huge fan of Viola Davis for a long time. I like her eloquent speeches – they are thoughtful & moving without being sanctimonious & ultimately hypocritical (I’m looking @ you Meryl). – so she will always be my favourite. Let’s contribute to the polite and old-fashioned style talk! We have things to discuss! yaaaay!! !